Generally, the IVR menus of the organizations are in form of audible menu. Moreover, there are a large number of organizations that use IVR menus. Therefore, converting the audible menus to visual IVR menus can be time consuming. An existing technique, as disclosed in U.S. Pat. No. 6,920,425 assigned to Nortel Networks Limited, discloses an automated script to convert the audible menus scripts to visual IVR menu scripts. However, the audible menus scripts must be available in a particular format to enable the conversion. Furthermore, the audio menu scripts must be available or downloadable for the program to function. As a result, only the audio menus scripts that are available can be converted to visual IVR menu scripts. Furthermore, the device of the caller must be designed or programmed to understand the visual IVR menu scripts. The effectiveness of providing the IVR in visual form is discussed in a technical paper titled, ‘The Benefits of Augmenting Telephone Voice Menu Navigation with Visual Browsing and Search’ by Min Yin et al. 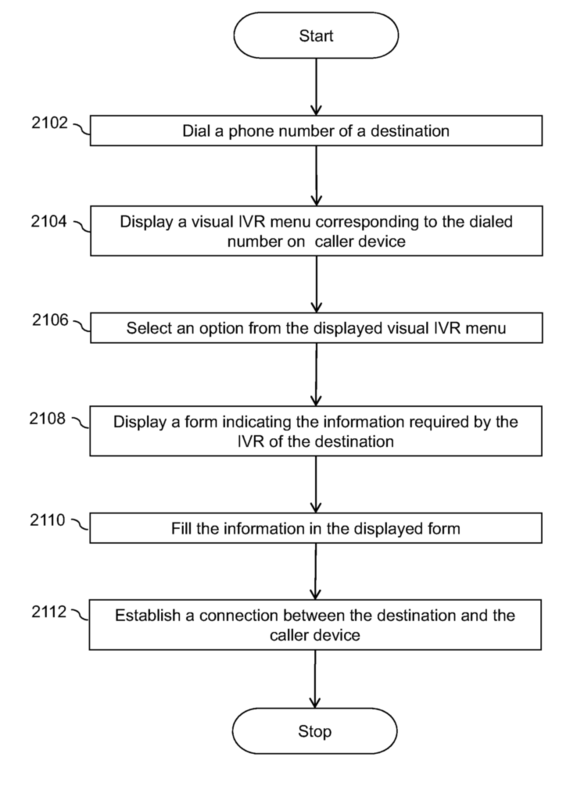 The paper discusses a setup where visual content of the IVR is sent from a service provider to a computer connected to a mobile phone. However, the technique discussed in the paper is limited to the visual content provided by the service provider’s end, after the connection is established. Moreover, the providers are required to individually set up the hardware and services for providing visual content.